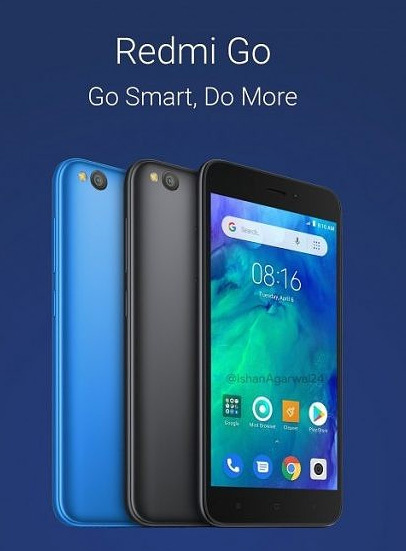 Xiaomi drops some prides and launches the first Redmi smartphone with Android Go. Xiaomi could not accept that. Redmite can. The reasons why Redmi broke off the Xiaomi brand are now even more obvious. Redmi Go will be running on a Snapdragon 425 with 1 GB of RAM and up to 8 GB of thankfully expandable memory. The 5.0-inch LCD screen has a traditional 16:9 1280×720 HD resolution, which also means thick bezels all around. There’s an 8 megapixel main camera and a 5 megapixel selfie shooter which may be barely serviceable. Given those specs, the 3,000 mAh battery could last more than just a day. It is expected that this smartphone will have a price under Rs. 5000 ($ 70). In this case it will be one of the cheapest smartphones currently on the market. This product is aimed specifically at users who are used to Android. Redmi Go contains standard Android elements and a few Mi elements. It is advisable to track how we will evaluate the proportion of the two in the following versions.